This Spaghetti Western starring Clint Eastwood could very well have been an expose of the world of executive recruiters. In my many years as a corporate Human Resources executive, I have seen all sides of the executive recruiting business. Along with caring professionals, it’s an industry filled with contradictions and broken promises – truly the good, the bad and the ugly. Recruiters – or headhunters – fall into two basic categories: contingency and retained. Which one you are dealing with could determine your success or failure in seeking a new job. The primary difference between the two is how they operate which is linked to how they are paid. Contingency recruiters are paid by employers for each successful candidate placement. Retained recruiters are employed by the hiring organization to do a specific recruiting job and are paid a search fee regardless of whether anyone is hired. Retained search consultants are often more consultative and work closely with employers to determine if a candidate’s experience fits a job’s technical needs and whether he or she is a cultural fit. There are variations to this model, but the search industry generally falls into these two categories. The “good” recruiters can be very helpful to your job search. 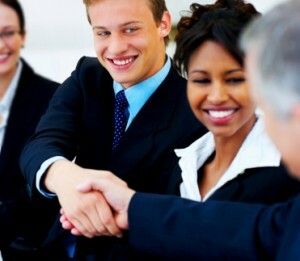 They can expand your network and introduce you to new and interesting opportunities. These recruiters can provide a wealth of information on market intelligence and trends. To benefit most when working with an external recruiter, it’s important to ask the right questions so you understand and control the job search. Learn where the resume is being sent. Ask for the prospective employer’s identity. What are the requirements of the position? Does my experience actually fit the position? Good recruiters will share this information. A “bad” recruiter experience can include many different scenarios. Contingency recruiters, because of the way they paid, have an incentive to send your resume to as many potential employers as possible in the hope of getting a bite. It’s an approach based on volume. The potential problem, however, is that you, the candidate, can lose control over the process and risk the compromise of your confidentiality. You don’t want someone randomly sending your personal information to any and all employers and you need to make that clear when you start working with the recruiter. At times, recruiters may tell you it’s a “confidential” search and they can’t reveal the client’s name. Don’t fall prey to this tactic. Recruiters may resort to this ploy because they fear a potential client going directly to the hiring organization, costing them their fee. I’ve seen cases when potential employers do not want to be identified initially, but once a candidate is identified that restriction is lifted. Once the courtship begins, the candidate simply agrees to sign a confidentiality agreement, stating the employer’s name will not be revealed by the candidate. The potential employer is not entitled to more rights than you. There are many valid reasons why you should not forward your resume blindly to an unknown employer. You may already know this organization through your professional association and don’t want your search for other opportunities outside your current employer to be known around industry, especially by your employer. Some recruiters may be less than candid about their intentions. If the recruiter is representing a legitimate position and organization, they will have a position description provided to them by the hiring organization. Both types of recruiters have their place. Contingency recruiters will tend to cover entry level to middle market positions, from college graduate to middle manager and various level technical jobs. Most of us have gained some early-career momentum with the help of a contingency recruiter. Retained recruiters are generally hired to conduct a thorough search of the market for highly qualified candidates to fill senior positions. In any case, whether dealing with a retained or contingency recruiter, you should know exactly where your resume is going and that it is going only to organizations and/or opportunities that are of interest. The “ugly” side of the recruiting industry can involve nasty placement fee disputes that can occur if recruiters are indiscriminate in sending out your resume. Case in point, two separate contingency recruiters send a candidate’s resume to the same organization, not telling the candidate. The candidate gets a call from recruiter #1 stating the hiring organization is interested and wants to schedule an interview. Fast forward, the candidate gets hired and recruiter #2 gets wind of this and expects a portion of the fee. This unfortunately is a real scenario. Tthe new hire was caught up in a contentious dispute between the two recruiters. A new job can be stressful enough without being dragged into this drama. Another ugly encounter can involve a recruiter sending your resume, without your knowledge, to an organization that you are already interviewing at. This can be embarrassing for the candidate, especially if you don’t want the employer to know you are working with a recruiter who is showing you many potential positions. The lesson in both situations is the same. Remember, you and you alone are in charge of your job search, especially those employers that are approached. Currently, cyber security talent is in high demand – the Wall Street Journal recentily predicted unfilled cyber security jobs to number 1.8 million by 2022 – and a hot market can unleash furious competition. Recruiters are pouring into the field, creating a feeding frenzy in which recruiters promiscuously float resumes to prospective employers ikn order to cash in on the hiring craze. The bottom-line lesson is this: make sure the recruiting firm you deal with operates under the highest ethical standards. Ask many questions and insist on meeting face-to-face to better size up the individuals you are entrusting. If that’s not possible, video conferencing is a good alternative. Remember you should know whom you are dealing with before releasing your personal and confidential information. 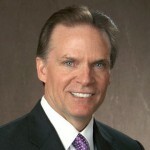 James G. Ward is a Human Capital consultant and a certified Professional Coach based in Newport Beach, Cal. He provides HR consulting, as well as executive, career and organizational coaching through his own firm, NEW Directions Consulting. He has more than 15 years of experience in corporate human resources and consulting, including 15 years at Pacific Investment Management Company (PIMCO), where he was Executive Vice President, Global Head of Human Resources. He is author of “New Directions: Successful Strategies for Career, the Workplace, and Personal Growth“.